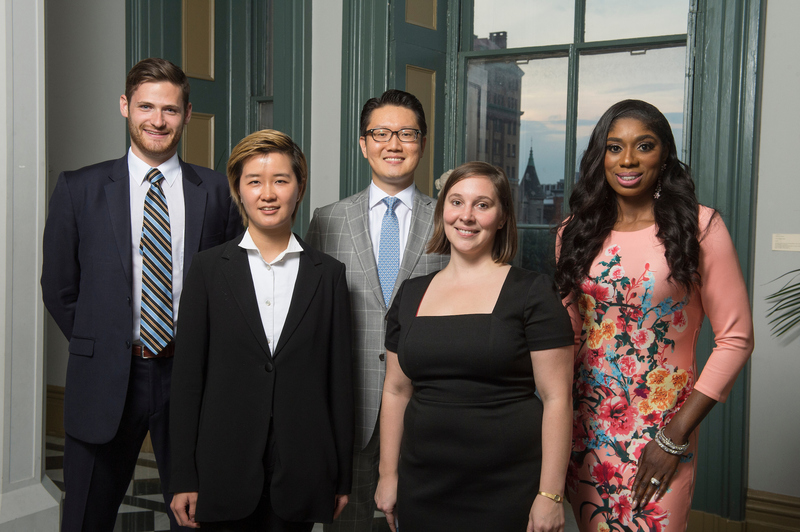 Pictured: five of nine 2017 recipients of the Outstanding Recent Graduate Award–David Narrow, Engr '13; Meng Su, Peab '09, '11, '15; Kyun Hee Lee, Engr '05, BSPH '08, '13; Laura Garcia, Nurs '10, '14; and Wendy Osefo, A&S '09. Honors recent graduates of Johns Hopkins (within 10 years of graduation) for outstanding achievement or service in their professional or volunteer life. Support of Johns Hopkins may be a consideration, but not a requirement. Download in [.pdf] or [word]. NOTE: You will need Adobe 9 or higher to electronically save and email this application. If you do not have Adobe 9 you can get a free download here.